As the story opens, there’s uncertainty on behalf of the reader about what is going on. Initially, we know that eleven year old Luz Castillo is living in some kind of facility. Her Aunt Tencha visits her, so she’s not without family. Something has happened to put her sister in the hospital and her father in jail and Luz isn’t talking to anyone about anything. Julie, Luz’s counselor, has convinced Luz to write down what happened to her, telling her that it might be the only thing that keeps her father from serving a long jail sentence. Luz is just as tight-fisted with her journal as she is with her words, sharing neither with anyone. But she tells her story to the reader using her loteria cards. 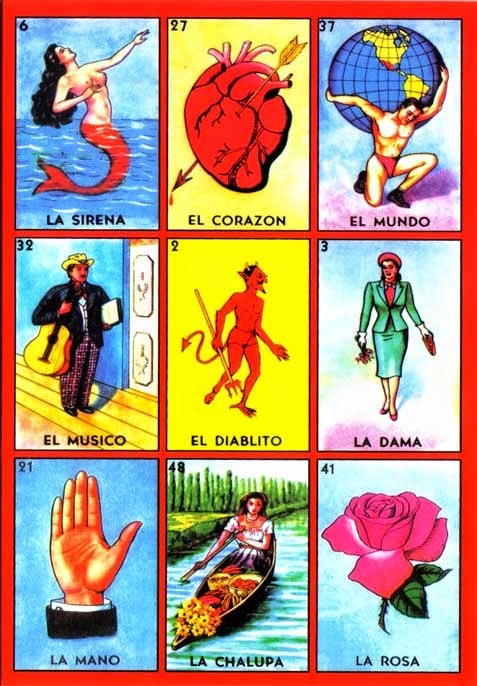 Similar to bingo, loteria is is a Mexican game of chance. Instead of calling out numbers, cards are pulled from a deck and announced by the object on the card or through a riddle tied to the card. Much like bingo, players match the card to the picture on their tabla, a board. Chapter titles such as El Borracho (the drunk) and El Venado (the deer) almost serve as warnings of what’s to come. At times, hers is a happy home, but when her father has had too much to drink, no one is spared from his wrath, especially her mother. Up until a point, it seems that the good far outweighs the bad; however, when the bad hits, it hits hard and heavy. 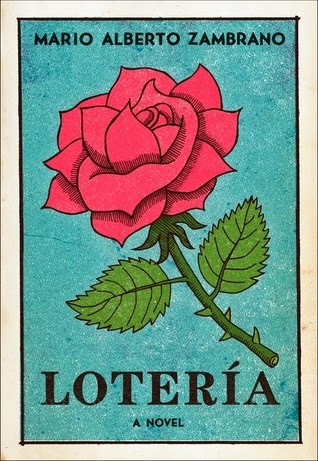 Told with the naivete of a child that’s seen too much and doesn’t quite realize it just yet, Loteria reminds me somewhat of Esmeralda Santiago’s When I Was Puerto Rican, but much more of Bird of Paradise by Raquel Cepeda. Though those two works are non-fiction, the father-daughter theme is present in all of them. Much like the characters in the other books, Luz looks for validation in her father. She loves him without question, even though his faults are many and, at times, she’s a target for his anger. More than anything, she wants his acceptance and to please him. I was drawn into Luz and her family's home life from the beginning until the end. Zambrano's writing brings to life simple day to day interactions and makes them fascinating. I can't wait to see what's ahead for this talented author.